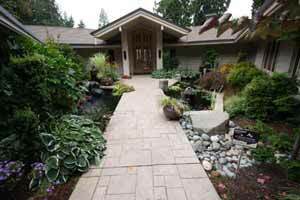 I'm Ross Conners owner of RC Concrete, a concrete contractor serving the greater Puyallup and Tacoma area. Since 1989, our team of expert concrete finishers have provided all of Pierce County, South King County and King County as local concrete experts. At RC Concrete our concrete workmanship is first class and we will work tirelessly to do the job right for you. RC Concrete is a self run concrete company. With 10 dedicated employees working for us, our team takes great pride in our decorative concrete finishes and it is our goal to provide the best workmanship on all concrete projects. Our customer base and referral network covers the entire Western Washington region. In fact, many of our decorative concrete projects have been featured on a number of national advertising ads by well-known companies. Many have won 1st place awards. When decorative options are considered, consumers most commonly look to decorative stones such as marble and tile. However, these options are quite expensive and most people are not inclined to use them for areas such as patios, paths or even the swimming pool area. However, in the past few years, decorative concrete has risen as an available option that can provide an impressive look to any surface surrounding your Puyallup or Tacoma area home. 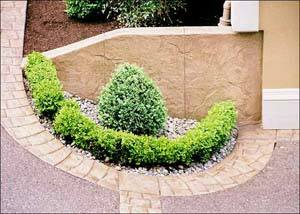 Whether it is a concrete patio, footpath or a concrete wall, decorative concrete can fulfill all your decorative needs. Its popularity is further enhanced by the less cost which it incurs, its durability and the versatility that it offers to builders. Not only does decorative concrete offer a number of textural finishes, but also numerous colors can be added to the concrete, opening up a number of options for decorative concrete usage in your Puyallup or Tacoma area landscaping. Solid colors can be used for providing a background while colors can be mixed to provide a lovely marble effect. 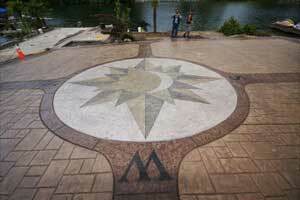 To further add unique effects into the design, stamped concrete options are also available. This can be used to add designs such as textured or stone pattern layouts or even a particular design that you want. This will provide local residents with many decorative concrete possibilities. RC Concrete takes great pride in our highly professional services we offer and we guarantee we will leave your house looking beautiful.